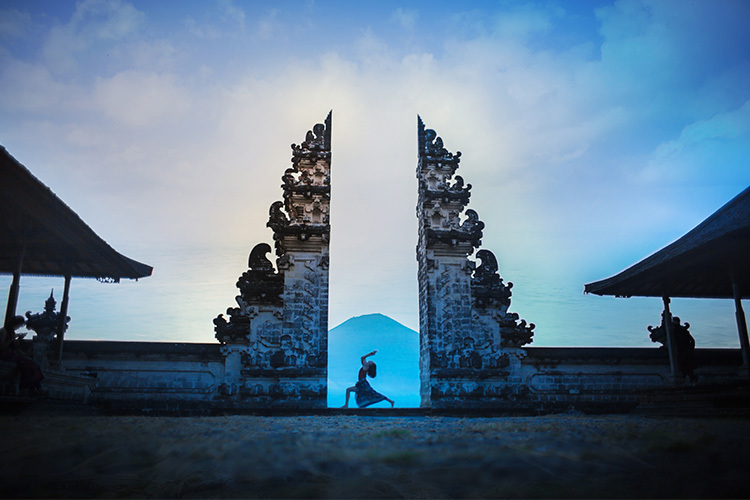 Bali: the Island of the Gods has now become the Asian mecca for yogis and yoginis. 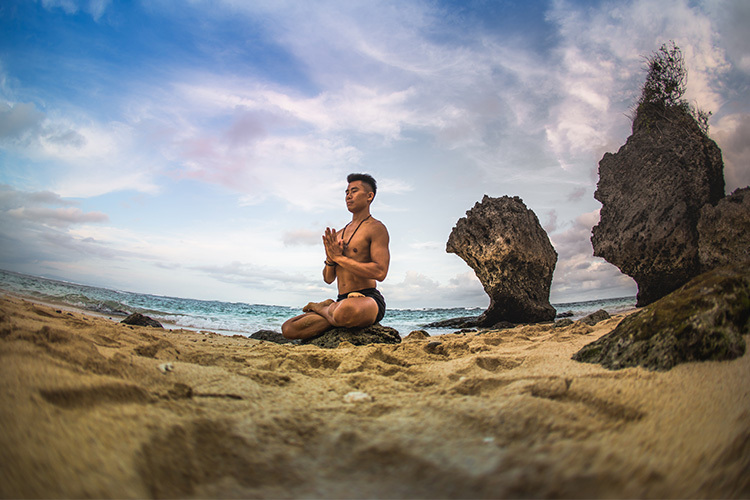 The Balinese culture and timeless spirituality are a fertile and nourishing ground for practices like yoga to bloom and spread. 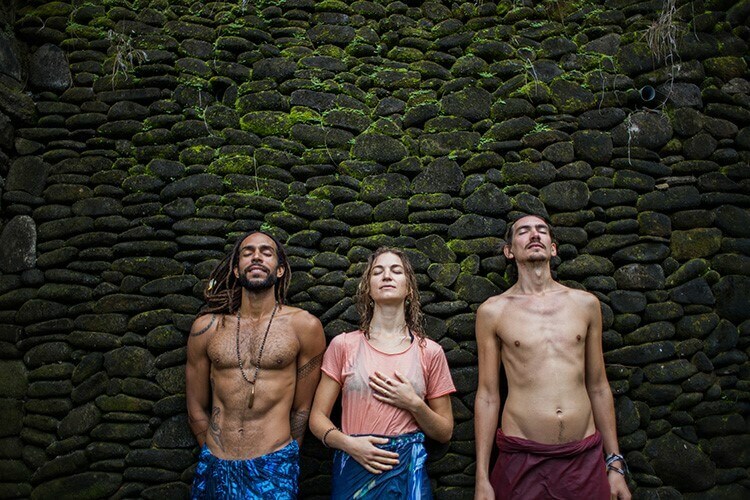 The magical island hosts some of the best yoga shalas in the world and summons world class teachers. A Yoga Teacher Training in Bali then becomes a well-rounded experience that goes beyond the purpose of the certificate and the course. It will change your life. Here’s how. 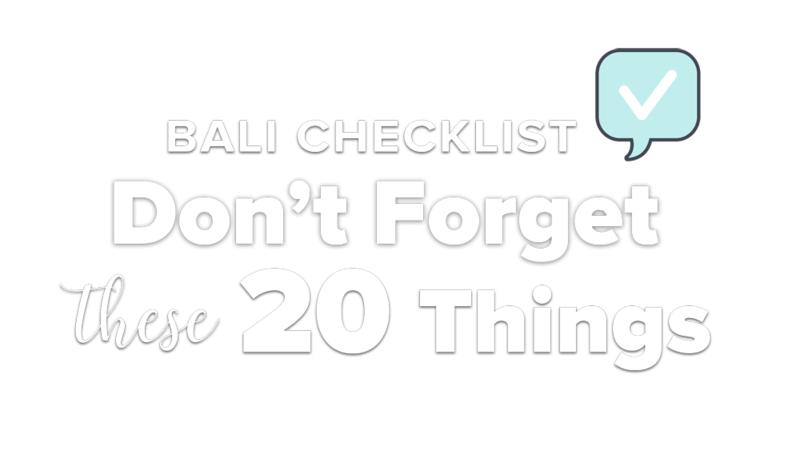 1.Well, you’ll be in Bali. Quite obvious, but still important. Bali is a dream destination, on everyone’s bucket list. 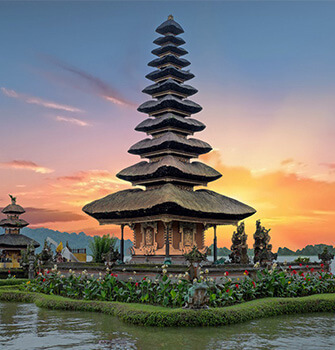 Even just pronouncing the word “Bali,” evokes relaxing vibes, exotics locations and spiritual wonders. Your pre-departure preparation for your Yoga Teacher Training in Bali will be so exciting and will set up the tone for the journey. Both your mind and body will be energized by the adrenaline of leaving for the unknown tropical island - or, if you had been to Bali already - they’ll be craving to go back. Bali does have a powerful energy. Even the less spiritual people admit that something is present there. That something able to revolt someone’s life, in all facets and blissful ways. You wait. 2. You’ll get out of your comfort zone. The practice of yoga teaches to accept situations, feelings and emotions that people are usually not comfortable with. Or at least to work on observing those and then learn acceptance. How to do that without getting out of your comfort zone? Doing a Yoga Teacher Training in a place you are familiar with can surely be great and bring so much value to your life. However, the challenge of getting out of your comfort zone - especially if you have never been in Asia before - could radically change your experience. It would give you new perspectives. It would challenge patterns and beliefs ingrained in your daily behaviours. It will be powerful. 3. You’ll learn how to let go. Fully. Travelling questions habits. Sometimes you’ll find yourself in a situation you cannot control. And, how we love to be in control, right? Even while practicing we strive to control our asanas, or even our thoughts when meditating. Well, in Bali you’ll learn how to let go, otherwise you’ll get mad. You’ll see, especially when wandering around during your time off from you Yoga Teacher Training in Bali. The way things work here is different. Time is a relative concept, together with punctuality. Bureaucracy - for visas - can get insane and confusing and you’ll experience situations you’ll never fully understand. However, remember you are a guest here. Respect the Balinese way and let go. You cannot control what others think and do, but you can control the way you react to it. This alone is a very precious teaching. 4. You’ll practice even when not on the mat. Balinese Hinduism is the main religion practiced on the island. It includes timeless tradition, deep spirituality, animist beliefs and the worshipping of ancestors. And also, Bhakti yoga, a spiritual practice focused on the holy and loving devotion for a personal God. 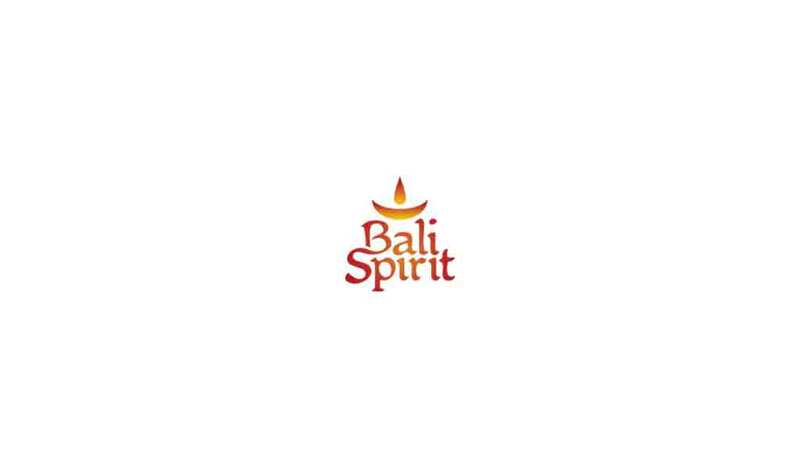 Service and spirituality are intrinsic to Balinese culture and community. You’ll see how Balinese women patiently prepare the offering to the Gods every single day, several times a day. You’ll notice the attention to detail that they put into their prayers and preparation for the numerous - and beautiful ceremonies. All practices that inspire you to deepen your practice on the mat and your life off the mat. 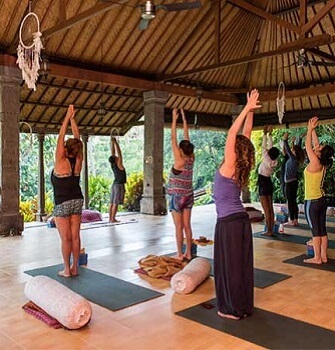 So, your Yoga Teacher Training in Bali won’t be confined to the hour spent in class, but it will go far beyond that: during every walk you’ll take, every person you’ll meet and talk with, every temple and house you’ll visit. What a blissful journey. 5. You’ll learn from the best in the best natural environment. 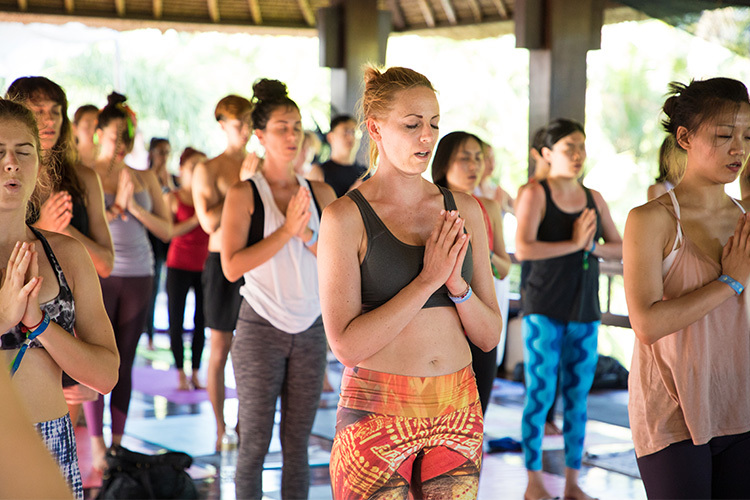 It’s not coincidence that Bali is a world class destination for yogis and yoginis. Despite being busy with tourists almost all year long, some places in Bali are still untouched and you can feel the healing power of the tropical nature, of the impetuous ocean and the strong, yet energetically powerful, Sun. Your Yoga Teacher Training in Bali will be enriched by those vibes, and most of all, by the expertise of the trainers on the island. 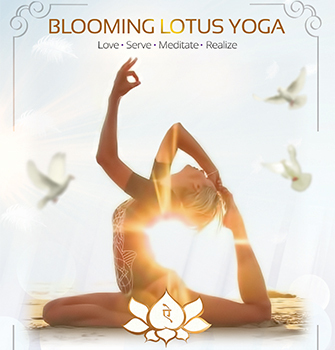 The best yoga teachers in the world come here to practice and offer training. You’ll be spoiled by choice. And that choice will definitely change your life. You’ll go back home - or maybe never leave! - filled with so much gratitude and new horizons. 6. You’ll meet people that will change your life. Forever. They say Bali calls you. Also, it tells you when to leave. Despite some people simply come here for tourism, others come here for a reason. Be it a life transition, healing, a need for change, for answers, or simply for adventure. During your Yoga Teacher Training in Bali, but also at events, in cafes and homestays, you’ll meet inspiring like-minded people. You’ll share stories, struggles and dreams. Some of them will become important friends that you’ll never forget, and why not, meet again, and again. You’ll be both surprised and mesmerised. And remember, everything happens for a reason. 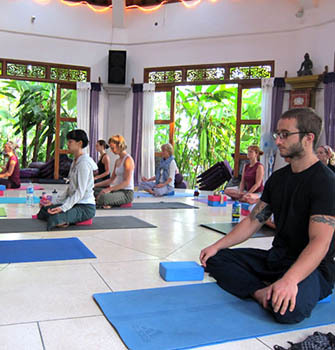 The nature, the local culture, the timeless spirituality make Bali a perfect destination for your Yoga Teacher Training. From the day you’ll book and start planning, to the one you’ll step your first foot on the magical island, until the day you’ll say bye - for now - your experience will be enriched in so many blissful ways. It will change your life. For good, and for the good.